With software evolving and such a fast pace, the days of when you would purchase your productivity software, install it on your PC and that would be it is slowly being phased out by the software vendors for a subscription-based modal. This in itself can have quite a few advantages. Today we will focus on Microsoft Office 365 subscription-based modal and see if we can help shed a light on the how Microsoft now delivers its productivity software and how you can harness this to streamline your business. Microsoft Office 365 is Microsoft productivity software for home, business & enterprises. The software includes all of Microsoft’s main business productivity software with Outlook, Word, Excel & PowerPoint. 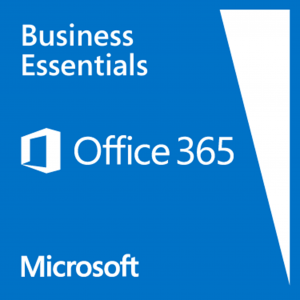 We will be looking at Microsoft Business Premium and Business essentials packages as these are a great start for any business. The Microsoft Office 365 Busines Premium package gives you the ability to download and install the office products directly to 5 PCs or Macs, 5 tablets (Windows, iPad, and Android), and 5 phones. With the new installation packages you don’t get a choice in what software you want to install unlike the installation packages from Office 2010 and earlier, so if you are not going to use an application you will have to still have it installed. One of the positives to the new subscription modal is that once you have installed the software and you stay subscribed you will always receive the latest version of the software. Microsoft have come along way with their online versions of your favorites like Word, Outlook & Excell giving you the ability to edit your documents online and collaborate online more effectively and efficiently helping your productivity. Microsoft offers a Business Essesntials package for people who dont want to download and install software but would like the ability to use the online versons. The below list can be accessed by any web browser on any device to create, present and collborate. Some of the other great features to the Business Premium & Essentials packages are the ability to have your own custom email accounts i.e yourname@yourcompany.com.au with 50GB email accounts. OneDrive for Business gives each user 1 TB of OneDrive storage that can be accessed from anywhere, on any device. Easily share documents with others inside and outside your organization and control who can see and edit each file. Sharepoint enables easy access and sharing of documents with 1 TB baseline storage plus 500 MB of storage per user. Microsoft offers 99% guaranteed uptime on all of their online services, they also use cutting edge security packages with 5 layers of security and proactive monitoring to keep your data safe. Your data is yours Microsoft safeguard it and protect your privacy. One thing that I have noticed is that on all of the Microsoft Product pages Microsoft like to use the term Deploy and manage Office 365 across your company, no IT expertise required. You can add and remove users in minutes. HealthyPC has been using, installing, maintaining and deploying Office 365 since it was first made available. We have found that in most cases it can be quite a task to go through and set up office 365 using the correct licensing, packages and migration from your current email accounts required for your business. We have become quite good at setting Office 365 over the years and help take the pain out of it for you. Ok, I hear you say what would I need to do to get Office 365 setup for my business? Domain Name: you will require a domain name ie yourbusiness.com.au. This will ensure you have you@youbusiness.com.au email accounts. If you don’t have a domain that’s no big issue we can help you register a domain name. List of users: make sure you sit down and carefully plan the number of email accounts that you will require as this will determine the number of licenses you require. Type of company files: it is good to sit down and review the types of company files that you have and how you would like to share through your new cloud solution. Migrating current email accounts: When reviewing the number of email accounts you require it is also a good practice to sit down and review your current email setup and how you would migrate these emails to your new office 365 email setup.